Leominster - Velma (Laraba) Larose, 91, of Leominster, died March 17, 2019, in HealthAlliance Hospital, Leominster. She was born October 27, 1927, in Enosburgh, VT, daughter of the late David and Ola (Barup) Laraba. Velma worked as a braider at Mohawk Wire and Cable Co., and later as a Personal Care Assistant. She was a member of Our Lady of the Lake Parish. Velma is survived by her children; Alyce Blair and her husband Edward, Rachel Howe, and Linda Williams, all of Leominster , a son; John Paul Larose of Gardner, along with her grandchildren; Christopher Blair, Lori Troest, Amy Tetreault, Nicholas Magierowski-Howe and great grandchildren; Joshua and Justin Blair, Ava and Laynie Troest, Nolan and Jayna Tetreault. She was predeceased by her husband of 68 years, Henry R. Larose, in February of 2018, a brother; John Laraba and a sister, Mae Jacobs. 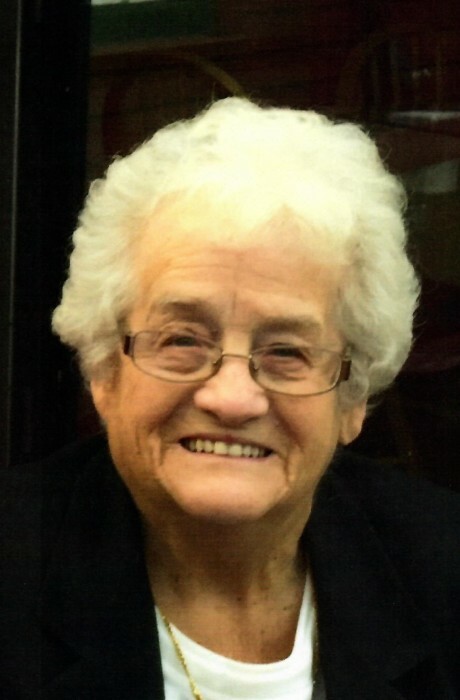 Velma's funeral will be held Friday, March 22, 2019, from Wright-Roy Funeral Home, Inc., 109 West Street, Leominster, with a Mass of Christian Burial at 10:00 a.m. in Our Lady of the Lake Church, 1400 Main Street, Leominster. Calling hours will be held Thursday, March 21st, from 5:00 - 7:00 p.m., in the funeral home. In lieu of flowers, donations in Velma's memory may be made to: Our Lady of the Lake Renovation Fund, 1400 Main Street, Leominster, MA 01453.